If your account (or your provider's account) is using the Zoom platform, participants have the option to call into the conference using the Zoom meeting ID. 3. Scroll down to the bottom of the page, to the field named "Participant Dial-In Policy (Zoom accounts only)". If you make a new selection, click "Save" afterward to save the change. The setting will take effect for all new meetings created in the organization account. 4. By default, the account is set to "Hosts Can Allow Participants to Dial-In". The definitions of the options are listed below, with links to how to use telephony with that setting if applicable. Never Allow Participants to Dial-In: There is no option for either the host to enable, or for the participant to enable/request the ability to call into a meeting. Hosts Can Allow Participants to Dial-In: The host can enable dial-in for the meeting by clicking on a button. Participants have a button to request dial-in, which sends an automated chat message to the host. Always Allow Participants to Dial-In: The host and participant(s) both have the ability to enable dial-in by clicking on a button. 1. If an account is set to "Hosts Can Allow Participants to Dial-In", then participants can request dial-in by clicking on the "Request Dial-In" button on the waiting room page. 2. This button will trigger an automated chat message to their host. 3. The host can click on the "Enable Dial-In" button on their dashboard. (The host or scheduler can also do this without prompting, any time after creating the session.) Once dial-in is enabled for a meeting, it is enabled for all participants of that meeting. 4. The button will now display for the host as "Participant Dial-In Number" (image left), and for the participant as "Dial Into Session" (image right). 5. Clicking on the button will display the dial-in number and meeting code required. The meeting code changes for every meeting. 1. 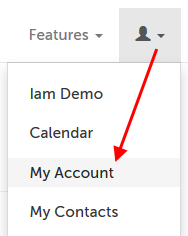 If an account is set to "Always Allow Participants to Dial-In", then either the host or participant(s) can enable dial-in; the host by clicking on the "Enable Dial-In" button on the meeting panel, and the participant by clicking on the "Enable Dial-In" button on the waiting room page. Once dial-in is enabled by one person, dial-in is enabled for all participants of that meeting. 2. 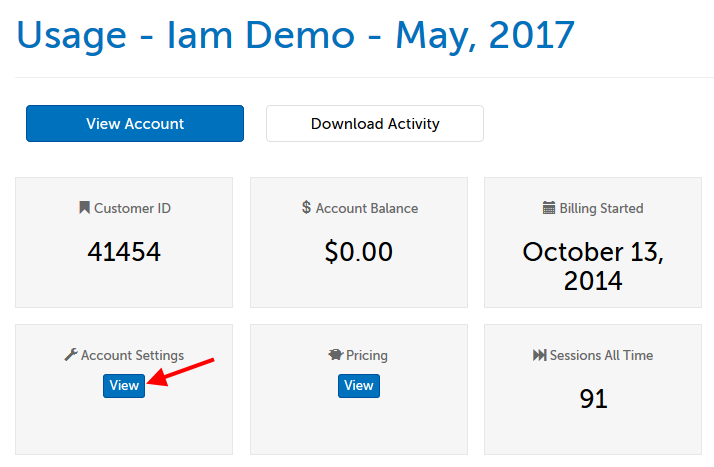 After clicking on the button, the button will change to "Participant Dial-In Number" (host) or "Dial Into Session" (participant). Clicking on the button again will display the dial-in number and meeting code required. The meeting code changes for every meeting. This article was last reviewed by our Support team on April 2, 2018.